This article is Part 2 of our series on Manual J load calculations for new HVAC installations. By now, you know why a Manual J load calculation is important. Without one, you run the risk of buying an AC and furnace that aren’t the right size for your home. As a result, you might feel really uncomfortable indoors. For years. You obviously don’t want that to happen, so it’s important to choose a competent, capable contractor for your Manual J load calculation! But how do you, you know… do that? How can you be sure a contractor is legit? What questions should you ask? By following the steps below, you’ll be able to find a load calculation contractor who does the job right. 1. Starting with an HVAC salesperson? Test them. Translation: We don’t have the skills, knowledge, or time to bother with a load calculation. Translation: Our company is inexperienced (or willfully ignorant) when it comes to HVAC system sizing. Translation: I have no idea what it takes to actually perform a load calculation, so I’m going to take some measurements and hope that you don’t know the difference. At PV, we value most load calculations at around $750. Others may charge more or less, and that’s fine. The point is that performing a load calculation is a specialized skill that nobody would ever do for free. If the person trying to sell you an HVAC system offers a free, on-the-spot “load calculation,” you’re not really getting a load calculation. Whenever a company can’t do it, they should happily refer you to someone who can. Basically, a load calculation shouldn’t be a touchy subject with HVAC companies. When it is, you should look elsewhere. 2. Verify that the contractor uses ACCA-accredited software. There are different types of load calculation software out there. However, only certain types are accredited by the Air Conditioning Contractors of America (ACCA). Seasoned pros will always use one of these accredited applications, and they should be able to tell you which one it is. For example, our team uses Wrightsoft. It’s a full-featured, ACCA-accredited application, and we’ve spent years refining and enhancing how we use it. In other words, we’ve got a lot of experience with Wrightsoft and are adept at using it to perform accurate, reliable load calculations. Doing a load calculation the right way isn’t simple. For one thing, there are several potential pitfalls. Think: measurements you forget to take, typos or “butterfinger” scenarios where you enter the wrong data into the software, faulty assumptions about things like window types and wall insulation levels… the list goes on! The thing about load calculations is that even one small error – a “3.5” instead of a “4” or a decimal point in the wrong place – can wreak total havoc on the results and lead to bad HVAC recommendations. 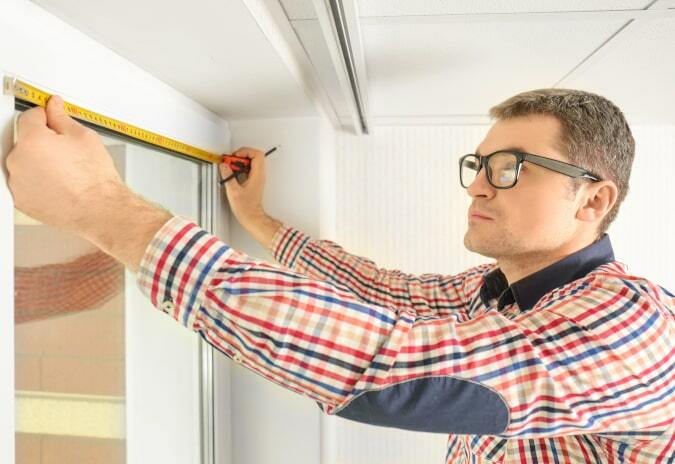 An experienced contractor will know how to avoid or correct those errors. A newb? Not so much. Consider it a good sign when an HVAC contractor has an employee or a team that’s 100% dedicated to load calculations. At PV, we’ve got a full-time, highly trained home performance expert whose primary duty is to run Manual J on all the homes where we’re installing equipment. Oh, and lest we forget: It just so happens that our lead consultant is also trained to perform load calculations. That’s a rarity among Atlanta HVAC contractors, but it is true for PV! 4. See if they can modify their approach to suit your needs. Load calculations have default temperature targets. Any time you get a standard load calculation, you’re getting a recommendation for HVAC equipment that can cool your home to 75 degrees on the hottest days of the year and heat it to 70 on the coldest days. That’s just fine for many people, but what if your preferences are different? What if you want it to be 73 degrees in your home when it’s 90+ degrees outdoors? And what if you want it to stay 73 indoors even after temperatures dip into the teens? Well, the standard load calculation won’t necessarily result in a system capable of doing that. But an experienced contractor can modify the load calculation to determine which system will meet those demands. Assuming you require a system that’s larger or smaller than a standard one, the contractor will also be able to explain any potential tradeoffs in comfort and efficiency. 5. Ask if they stand behind the systems they install. Some load calculation contractors don’t install HVAC equipment. They simply come to your home, perform the load calculation, and hand you the results. Maybe they refer you to a good HVAC installer. Maybe they don’t. That’s a lot better than not getting a load calculation at all. However, an even better scenario is when the same company performs the load calculation, recommends properly sized equipment, installs the entire system, and – this one’s big – provides a warranty for every single aspect of that process for years to come. It’s a pretty rare arrangement, but it’s worth it when you can find it. Basically, the company should stand behind the equipment they’re installing and the process they use to determine what to install. At PV, we do that. All of it. And most of our systems all come with a 10-year labor warranty. One reason we can warranty our labor for 10 years (besides the fact that we’re sticklers for grade A+ HVAC installations) is because we always perform a Manual J load calculation. Put simply, we know our installations are very likely to perform well because we selected the right equipment to begin with. Choose an HVAC company that does all of these things, and you’ll enjoy optimal indoor comfort for as long as you own your system.